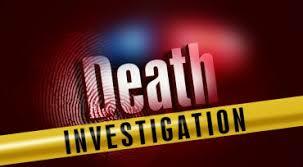 After an investigation and an autopsy officials say the two deaths in Haverhill appear to be a murder/suicide. New Hampshire’s Chief Medical Examiner Dr. Thomas Andrew determined that Crystal Lewis died from a single gunshot wound the head and ruled the death a homicide and that Robert Taylor died from a self-inflicted gunshot to his head and was ruled a suicide. Officers say the two had a dating relationship for several years but Ms. Lewis ended the relationship sometime in July. Mr. Taylor appears to have shot and killed Ms. Lewis before killing himself inside of Lewis’ residence. The Sullivan County parking lot off Main and Sunapee Streets in Newport is open. The lot was redesigned and paved. All of the 43 parking spaces are free as well as two handicapped spots. Over the next few weeks, parts of the lot will be temporarily closed for final installation of lighting, landscaping, and other minor work. The parking lot also features underground wiring to accommodate electric vehicle charging stations in the future. This project was the result of a partnership between Sullivan County, the Town of Newport, and the Economic Development Corporation of Newport (ECON). Contact the Sullivan County Commissioners’ Office at 603-863-2560 if you have questions. Harvard Pilgrim and Anthem confirmed Wednesday that they would offer plans on New Hampshire’s federally facilitated health insurance marketplace in 2018. Anthem covers about 27,000 and Harvard Pilgrim covers more than 11,000 Granite Staters through HealthCare.gov and through the state’s Medicaid expansion program. Last week, Ambetter confirmed its intention to remain in the market for 2018. Wednesday was the deadline for states to submit all 2018 plan information, other than rates, to the federal government, for plans to be on the NH exchange. Companies must sign a contract with the federal government by September 27th in order to offer plans on the exchange in 2018. Springfield VT Police were busy rounding up about 20 escapees last night. The herd of cattle escaped their pasture shortly before 10:00 PM and took to wandering the roads of North Springfield near Main Street and Spooner Road. Police issued a caution for drivers since the cattle are exceptionally dark and seem to suddenly appear in view. Officers had some of the herd rounded up about 11:15 PM but the darkness and brush made capturing the creatures difficult. No word if they are still on the run.